As people age, it is not uncommon for medication to become a necessary part of daily life as the body requires help to alleviate or correct problems. Residents of nursing homes are especially likely to need a number of different medications to control serious and debilitating issues. While these substances are integral to relieving suffering and life-threatening conditions, overuse can lead to instances of nursing home abuse. 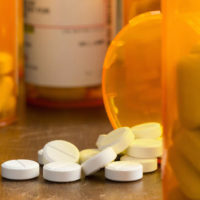 The over-administration of medication by nursing home staff is a tactic used to control residents deemed “difficult.” Anyone who has taken a prescribed medication will know that pharmaceuticals come with the risk of side effects, not to mention the ramifications of different medications interacting. Giving someone more than the prescribed dose or mixing medications that conflict with each other can leave a person in a very dissociative state where he/she is largely unaware of the surroundings and/or with a limited ability to communicate. While the short-term effects of this situation are bad enough, the long-term consequences of the over-administration of medication could be serious and permanent. Thus, it is important to recognize the signs of this type of mistreatment, and to also know the legal rights a resident has to sue to the nursing home for negligence. Monitoring for this abuse requires family members to visit and contact the resident on a regular basis. Regular interaction will not only give family members the opportunity to identify maltreatment early, but also compel nursing home staff to treat the resident appropriately since they know someone is frequently checking on his/her welfare. However, if overmedication is suspected, family members should request a copy of the medication log, which lists the medications administered, the dosage and the frequency. the resident suffered injury due to the breach. If you or a loved one suffered an injury at the hands of the staff at a nursing home, contact a personal injury attorney to discuss your case, and the possibility of taking legal action. No one should have to suffer or live in fear of abuse or neglect, and the Miami law firm of Pita Weber Del Prado is ready to fight to hold the responsible parties accountable. Contact us for a free consultation.